Karlynn has loved Kahlua Mudslides for as long as I have been married to her. What’s not to love, with the amazing kick of Kahlua, the zip of vodka and then the smoothness of Bailey’s and milk? 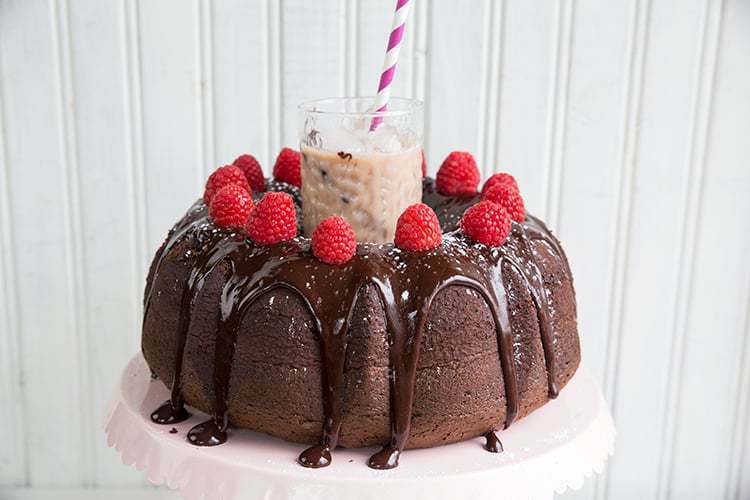 So it’s no wonder that not only did she come up with a Raspberry Kahlua Mudslide CAKE ( click that link there to get the recipe for one amazing chocolate cake!) she decided that it had to be an actual cocktail in real life. Have I mentioned that she loves Chambord as well? Chambord is a raspberry liqueur that while expensive, is something I feel that you must have in your liquor cabinet. We’ve had the same bottle for months, with little nips being taken out for coffees, or to add a raspberry note to a cocktail, and now cake. 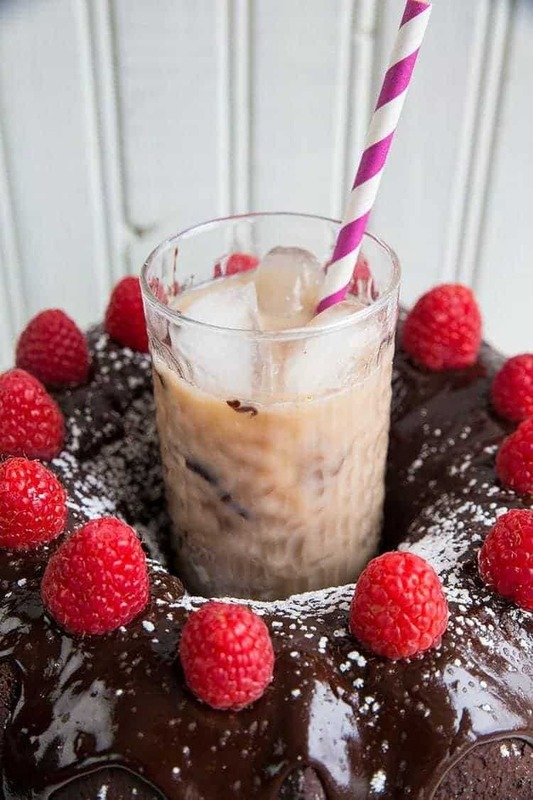 So now you can jazz up your favourite Kahlua Mudslide and make it a raspberry Kahlua mudslide….and I swear, once you try this you won’t go back! Seriously, look at that drink (and the cake that goes along with it!). Does that not make you want to make one? Now go get that Raspberry Kahlua Mudslide and enjoy!